swissmiss | Look, a sailboat! 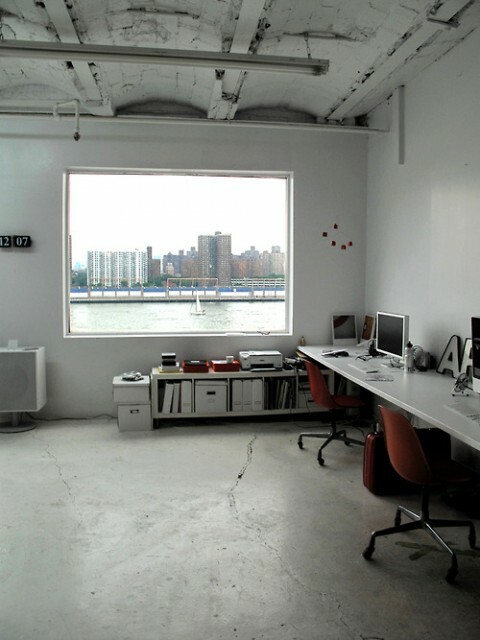 Please, SwissMiss, show us more of your studio…. oh wow, what a view! I like how this shot treats the window view more as a framed picture. The strange thing is, that if the exact same water, buildings, window, office… would be somewhere else, at a place what no one knows, nobody would find this, your studio and the whole thing a good place, a good looking place or a nice one. But because everyone who sees this picture knows that this is in Manhattan, everyone likes it. This is something like I (and I think all the little kids) saw when we were a child, that there are so many things people rates so high but we could not understand why. i love your studio! its even portrayed through your website, very minimal!